S.O.S. 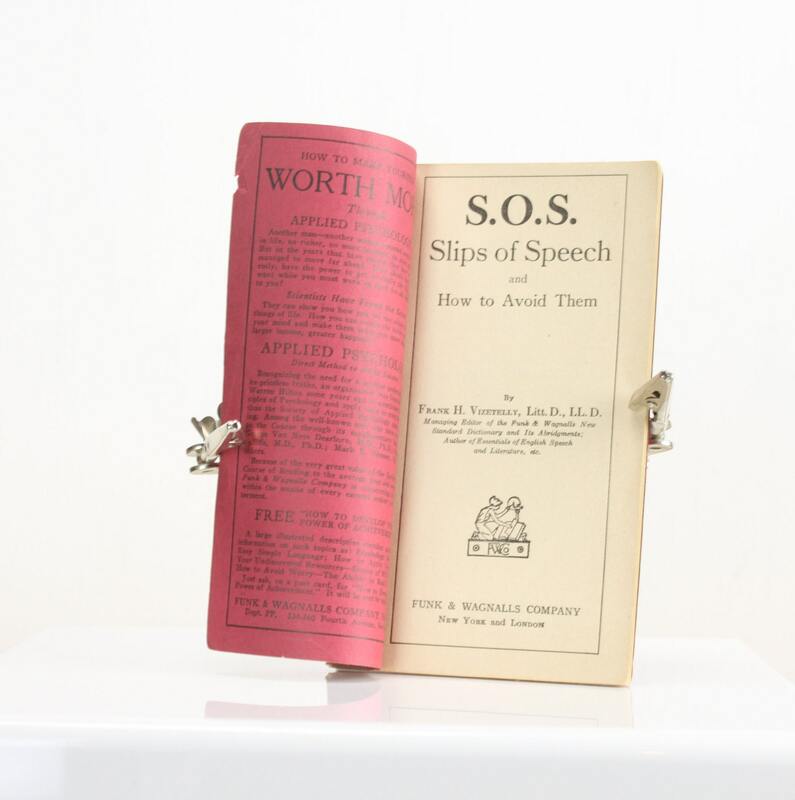 Slips of Speech & How To Avoid Them - 1922 - Ephemera - Booklet - Speech - English - Frank H. Vizetelly Litt. D. LL.D. This booklet and others like it were produced with a "throw away" mentality. Which makes it almost unbelievable that it could make it to this day in such immaculate condition! Whether this book was thrown in a drawer to be forgotten about till nearly a lifetime later or if it was tucked away by a forward thinking hoarder - we may never know. What we can be sure of is that despite all odds this amazing piece of history has survived and is now being presented to you! 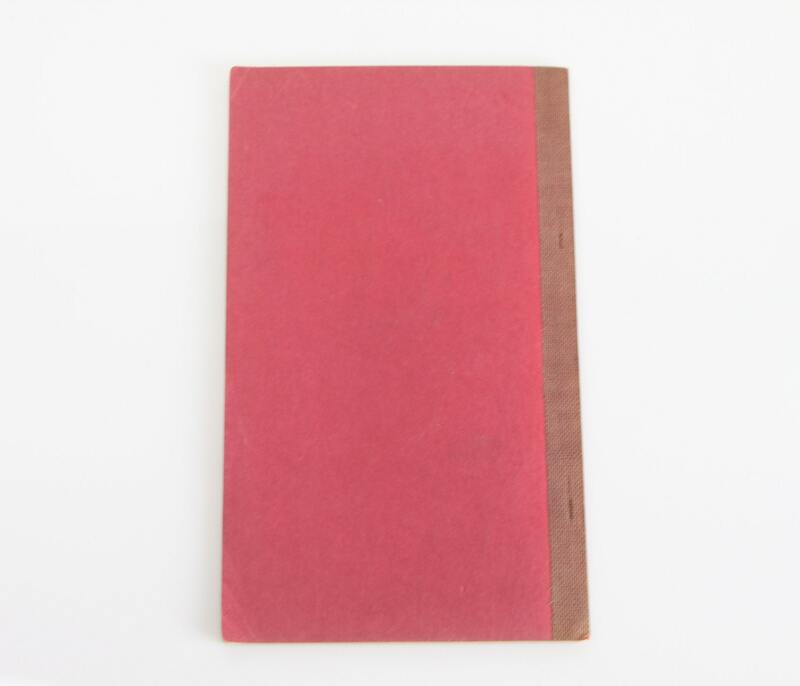 This wonderful little paperback book compiled by Frank H. Vizetelly Litt.D., LL.D. 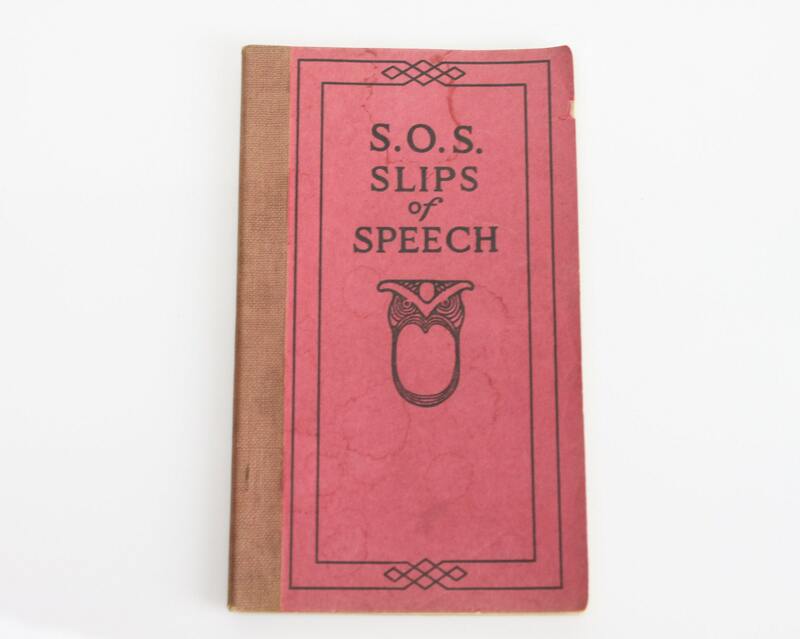 and published by Funk & Wagnalls company NY/London offers helpful tips on "Slips of Speech and how to avoid them". - Size: 6.25" X 4.75" & 3/16"